In the jungle there’s not much call for the subtle touch. So it’s not clear whether Mikhail Fridman’s announcements this week are intended as a dagger or as a club. By resigning his chairmanship of the management board of TNK-BP, and vacating the chief executive’s role, Fridman (image centre left) hasn’t left the governing board of directors of TNK-BP, the joint venture between BP and Fridman and his partners, German Khan (image centre), Len Blavatnik, and Victor Vekselberg (centre right); the latter combine in a group named AAR after each of the initials of their holdings – Alfa, Access, Renova. But the resignation reinforces the move a week ago by Fridman and AAR to cancel the scheduled May 25 board meeting on the ground that the 11-member body lacks a quorum. The shareholder agreement between BP and AAR for governing TNK-BP provides for the control shareholders to have four representatives each on the board, and three non-affiliated directors on which the two control shareholders must agree. Since December, they have agreed on two. But the missing one deprives the board of its quorum. In an interview published in Kommersant today, Fridman declares that he is opposed to the board agreeing to pay this year’s dividends from TNK-BP’s profit to BP, or to himself and to the AAR consortium. When we last saw BP’s chief executive, Bob Dudley (upper, lower left), he was hanging on for dear life, arm raised in an appeal for mercy, and money. Before Tarzan brings down the knife this time, the gorilla’s hand appears to be up for payment of his half-share of TNK-BP’s first-quarter dividend of $860 million. No board quorum, no dividend payout — if BP no speak Tarzan pidgin. The shareholder agreement between BP and AAR, establishing TNK-BP, provides that 40% of the profits should be paid in equal shares to the two of them. So BP is expecting $430 million. The balance would go in proportion to their stakes in AAR — Fridman would take 25%, Khan and Vekselberg 12.5% apiece. So right now, in knifing Dudley’s share Fridman is cutting himself. TNK-BP’s financial reports indicate that for last year 2011, it declared dividends paid to “Group shareholders” of $7.49 billion, and another $369 million paid to “noncontrolling interest shareholders”. The former group, comprising BP and AAR, helped themselves to 111% more than they had done in 2010. The latter, a free-floating 5% in a subsidiary listed in the Moscow stock market, got just 9% more. The latest TNK-BP financial report for the quarter ended March 31, 2012, indicates that $1.38 billion was paid out in dividends in that time period. BP confirms in its most recent quarterly report that it has now received from TNK-BP its entitlement to precisely half — $690 million. BP and Russian sources also explain that the balance-sheets are recording dividend payouts and receipts with a lag in time between the periods for which the dividends were declared, and the periods in which the money was transferred to the stakeholders. For the full year of 2011, for example, BP reports receipts of zero in the first quarter; $1.6 billion in the second; $425 million in the third; and $1.7 billion in the fourth. Total receipts, $3.74 billion. Until this month, BP was receiving its cash more or less on time. A Reuters report posted with apparent endorsement on the AAR website on May 22 implies there will now be an indefinite delay in payment of BP’s share of what TNK-BP earns this year. Depending on how oil prices move and what happens to TNK-BP’s earnings, the holdup can be calculated to be worth between $3 billion and $4 billion to BP. “BP needs more high dividends because they have big problems with liquidity because of the need to pay compensation for the oil spill in the Gulf of Mexico, and in general [because of their] disappointing financial and operational results. Therefore, BP insists on payment of dividends; it has threatened to force the company to do this through international arbitration. At the same time, the management of TNK-BP believes that it would be correct to leave the funds, which were dedicated for the dividend, in the company”. At the moment, according to BP’s reports, the two largest of the shareholders on record are BlackRock with 5.93% and Legal and General Group with 4.18%. At the current market capitalizations of BP and TNK-BP — $117 billion and $39 billion respectively – a half-share of TNK-BP, worth say $20 billion in money terms, might be swapped for 17% of BP’s share issue. 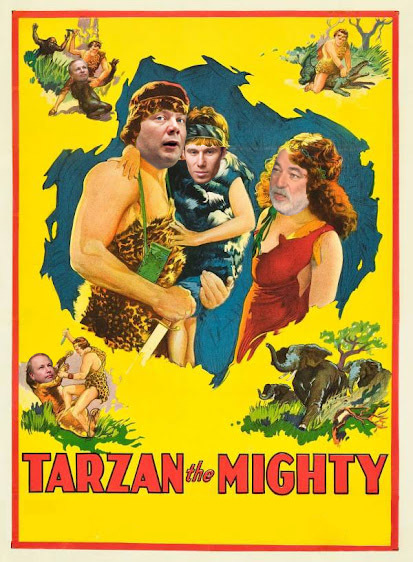 Even allowing for an elephant-sized discount, if Fridman and AAR are offering to sell out, they are also demanding the single largest bloc of BP shares, making them collectively the de facto control shareholder. That’s curtains for Dudley, and quite a few others. In today’s interview Fridman calls this an “exotic” theory, “some kind of fantasy”. He suggests there is no connection between what he is doing to Dudley, and what Sechin may do to him. But Fridman does hint that he is less partial to the outgoing Deputy Prime Minister in charge of the energy sector than to the incoming one, Arkady Dvorkovich. Towards the latter, Fridman says he has “a very good attitude”.